I am so excited to share this with you! It's a New Year which means many of you probably had a New Year's Resolution to loose weight, right? You signed up for the perfect gym plan or just started going to your home gym and now you need the right supplements to compliment your new health journey. 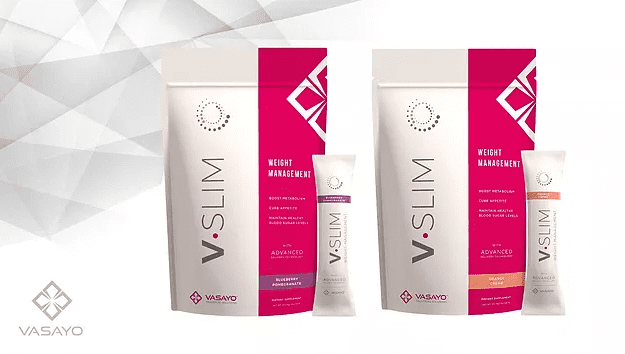 Vasayo just released their newest addition to their line of products called Vasayo Slim aka "V-Slim"
Boosts Metabolism: Helps rev up the body’s fat-burning centers. Curbs Appetite: Multiple ingredients help suppress appetite and curb cravings including an EXCLUSIVE main ingredient available ONLY by Vasayo, that's right, NO other company in the world has it! Supports Healthy Blood-Sugar Levels: Balanced, healthy blood-sugar levels are essential to slowing the production of fat in the body. Promotes Hormone Balance: Slowing the production and activity of hormones like cortisol (the so-called “stress hormone”) is also crucial to achieving a healthy weight. For more info and/or to order any of our NEW products, click here. "Core Complete" is our new Ultimate Multivitamin supplement and "V-3" is our natural sustained Energy booster & mood/cognition enhancer. Want a FREE SAMPLE of V-Slim? click here! Please help us welcome our new Medical Assistant, Annie Phan. She has already been a tremendous help at our office for the past two months. She is excited to assist you with your medical needs this year. Welcome Annie! !